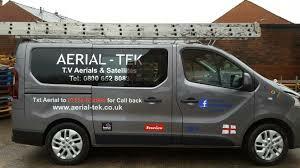 Welcome to Aerial-Tek the home of fixed price Freesat installations in Bacup, if you are looking for a new installation for single room single cable or a twin cable for a Freesat recorder or multiroom Freesat when you live in an area without good terrestrial reception you have come to the right place. 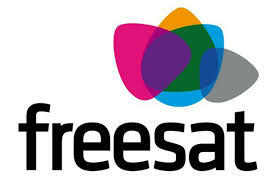 Freesat was initially brought out after the Digital switchover as an alternative source tv service to people who lived in areas who had no coverage from a main transmitter but it has evolved into an excellent replacement with many more channels than Freeview, with boxes like Humax offering catchup tv etc. The service is growing and channels are being added continuously. Freesat needs a connection to a satellite dish the same type as a Sky type as they are co located on the same satellite at Astra 28.2. 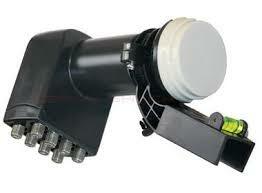 A standard box requires a single feed and recorder requires a twin feed from the dish, with an octo lnb you can have upto 4 recordadable boxes connected to the one same dish.. I have been installing Freesat and Sky now for 25 yrs and have seen it all so if you need a standard install to a more complex dish installation such as chimney etc we can do it all for you. If you require any further information dont hesitate to get in touch.